SpagoBI 5.2 introduces a new dataset type : RESTful web service datasets . This allows SpagoBI to report on data from sources other than databases with JDBC drivers. What follows is an end-to-end demonstration of creating and using a REST (JSON) Dataset in SpagoBI 5.2. The response of the REST service must be a JSON object. If the outermost JSON element is an array, it will not work. 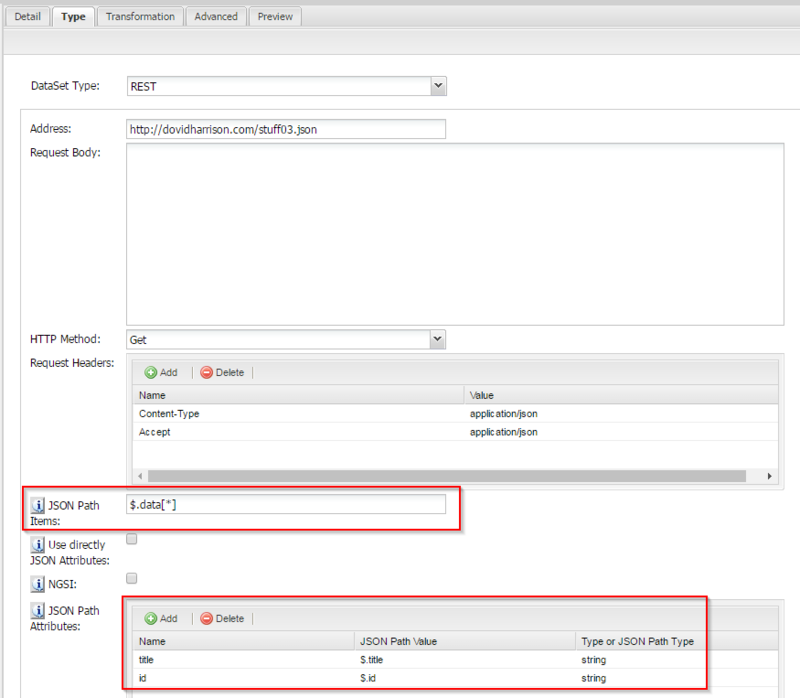 There is an assertion that checks that the RESTful call returns a JSON Object. According to SpagoBI support this is a security feature, not a bug. However, that means that not all RESTful web services can be used by the SpagoBI REST Dataset. If you’re designing the RESTful web service, that may be fine for you. If you’re trying to consume a pre-existing RESTful web service, this could be a problem. How large or complex of a JSON response can SpagoBI handle? Per SpagoBI Support, they say they’ve successfully experimented REST Data Sets containing 40,000 records. Pending experimentation on my part. I previously attempted record sets with 100 (4MB data), 500 (22 MB data), 1000 (44 MB data), and 5000 records. The JSON was complex and most certainly not flat. I was able to retrieve the outermost, flat values correctly for the recordsets with 100 and 500 entries. My experimental recordsets failed processing in setting up the REST Data Set with 1000 or more records. Understand the structure of the response for the REST web service you want to use. Make sure it matches with the limitations above. Post, Get, Put, or Delete. Click Preview. If everything worked right, you should get back the expected columns and rows. 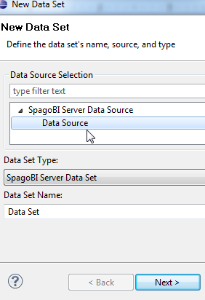 Now, it is time to use the SpagoBI REST Data set in a Report Document. For the sake of ease, let’s create a BIRT report in SpagoBI Studio. Enter the Dataset Label (from SpagoBI). It must be an exact match with the Data Set label we defined earlier, in SpagoBI server. Now, you’re free to use the data set in the report. In the example below, I’ve defined a 2 column table, associated with the data set. Each column is used.